Mikhail Bakhtin was one of the twentieth century’s most influential literary theorists. This accessible introduction to his thought begins with the questions ‘Why Bakhtin?’ and ‘Who was Bakhtin?’, before dealing in detail with his ideas on authorship and subjecthood, language, dialogism, heteroglossia and the novel, the chronotope, and the carnivalesque. True to their dialogic spirit, these ideas are presented not as a fixed body of knowledge, but rather as living and evolving entities, as ways of approaching not only the most persistent questions of language and literature, but also issues that are relevant across the full range of Humanities disciplines. 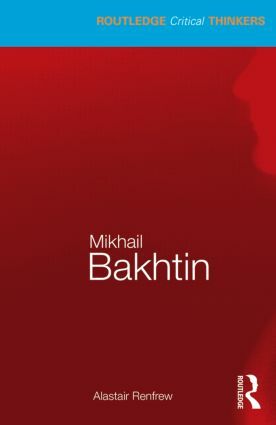 Bakhtin emerges in the process as a key thinker for the Humanities in the twenty-first century. Alastair Renfrew is a Reader in English and Comparative Literature at Durham University, UK.